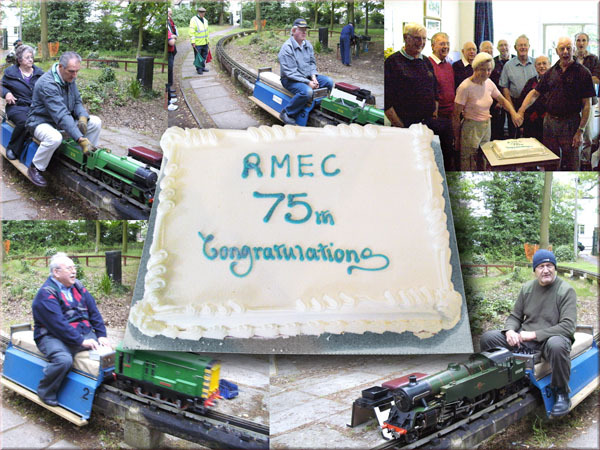 THE Romford MODEL ENGINEERS proudly CELEBRATED THEIR 75 YEAR ANNIVERSARY last year 2009. A steam run and a buffet was held on the 6th June to celebrate this joyous occasion which was very well attended by members and their partners. 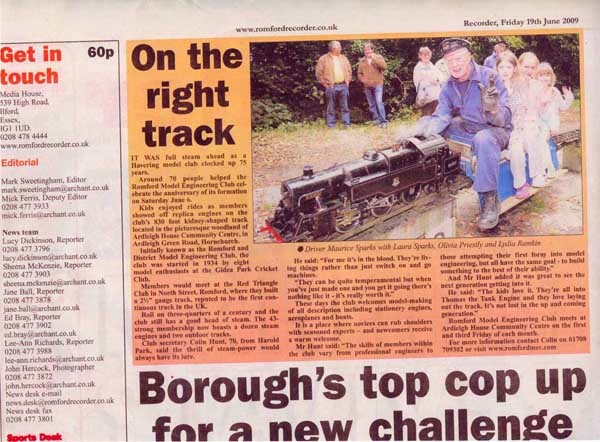 The event was reported in the local newspaper the Romford Recorder in the Friday 19th June 2009issue.